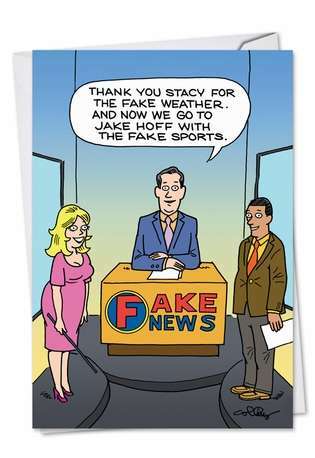 Cover Reads: Fake News - Thank You Stacy For The Fake Weather! And Now We Go To Jake Hoff With The Fake Sports. 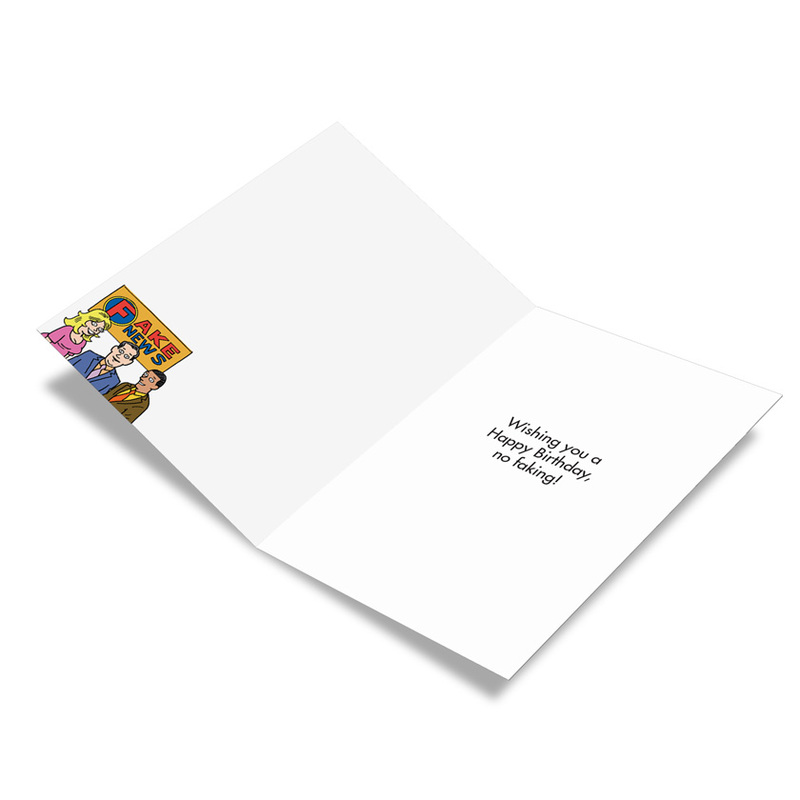 Inside Reads: Wishing You A Happy Birthday, No Faking! Don't you wish it was this easy to tell which news stations like to mess around with facts? 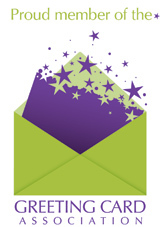 Here's our secret: Stick to local news, or printed reports. If it's a national newscast, chances are they are preparing for sweeps week. Besides, those reporters wear way too much makeup to be trusted. We prefer our journalists ugly and unkempt. 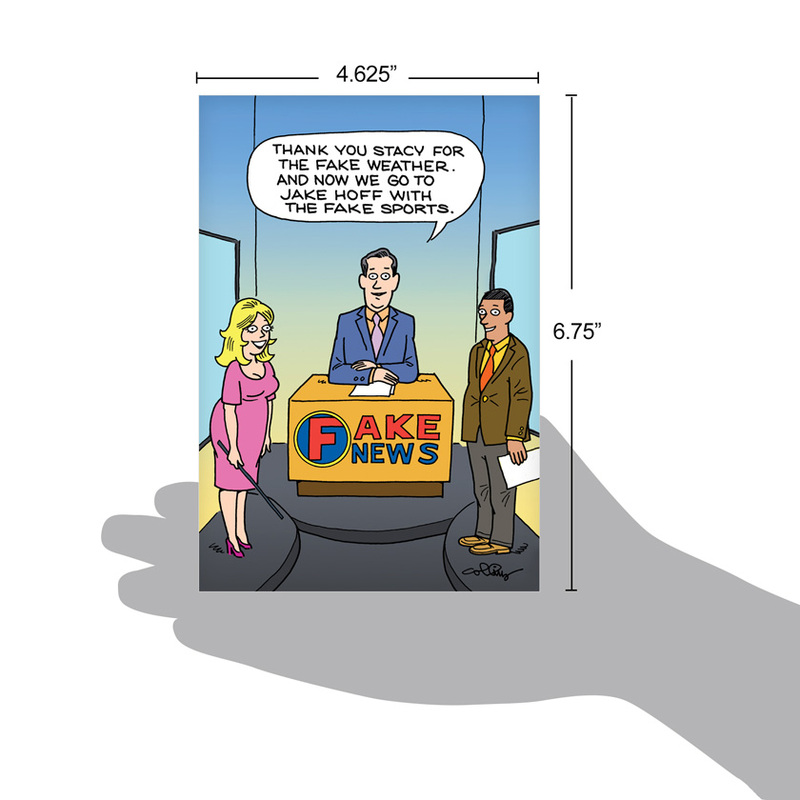 This funny birthday card about news offers a breaking report during parties, as people laugh over the joke. Maybe, if you're lucky, some journalists will be at the party, and you'll get to watch them roll their eyes. 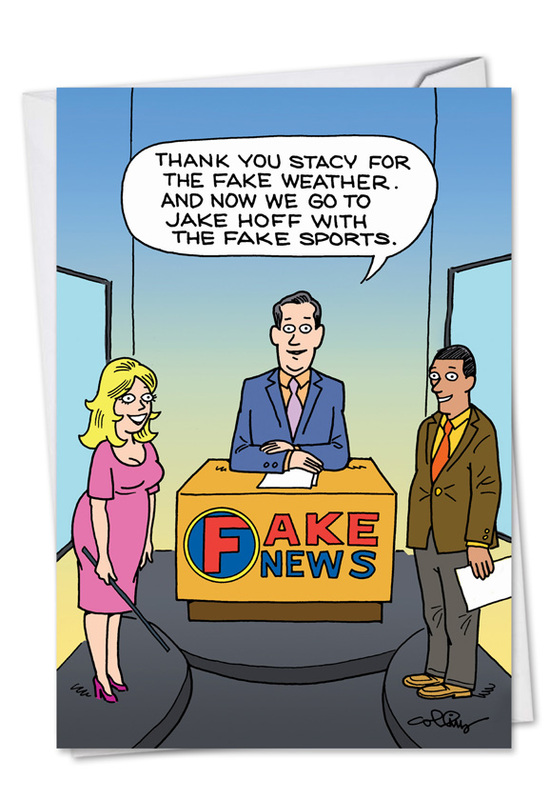 Deliver some real-ly big, colorful, funny, heartfelt "Happy Birthday" sentiment by gifting this clever card featuring the Fake Newscast to anyone truly celebrating a birthday. This card was for my brother's bday. It arrived promptly and in good order. I especially liked the clever waterproof packaging it was incased in. 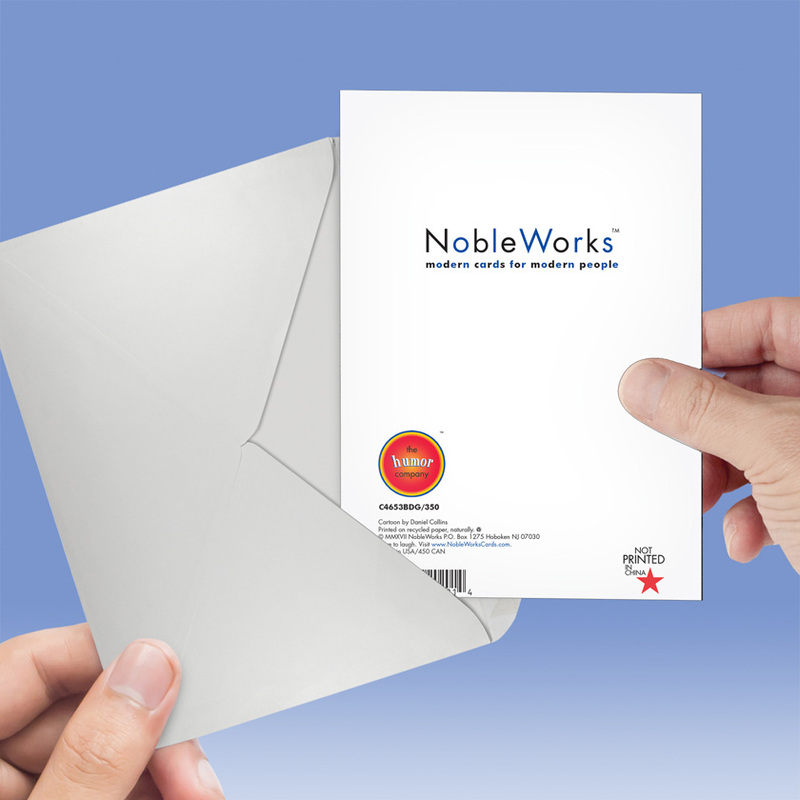 Well done nobleworks. I'll certainly return again for all my card needs.